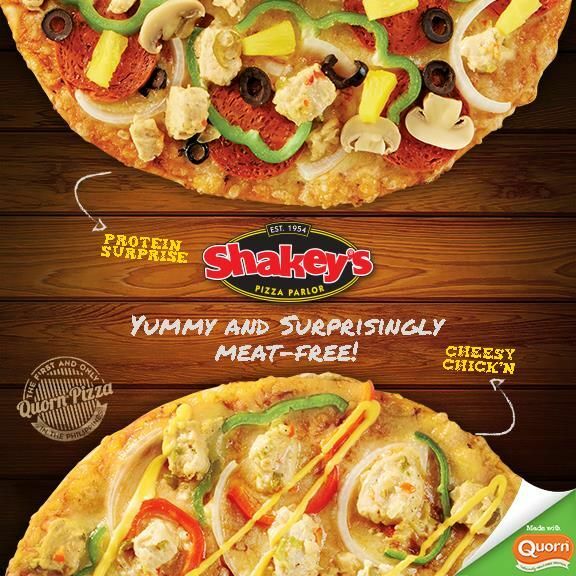 Vegetarian options in most pizzerias are rare and hard to find but Shakey's Pizza Parlor has collaborated with Quorn to offer 2 vegetarian pizzas on their menu. I have always loved pizza and I have been trying to find ways to indulge my cravings at home since most restaurant pizza's have meat. So news of a meatless pizza definitely caught my attention and I took the opportunity to take a bite, a slice, ok several slices of these 2 pizzas. The verdict: these pizza's are still a yummy treat! I just want to make it clear that I am not paid by Shakey's or Quorn to endorse any of their products. I just happen to like pizza and I'm trying to go meatless so the combination of these two makes me happy to try it out and share the information. I know that my photos don't look as delicious as in the poster but I'm after the taste after all. According to the Quorn website, their company is focused on encouraging meat reduction and they support other health and environmental aspects that benefit from this. "Quorn addresses several macro global trends such as helping meat reduction, vegetarianism, heart health, weight management and obesity and enabling consumers to enjoy healthier versions of their favourite everyday meals." I have only heard of them because of this pizza offer so I want to learn more about them and their products and try them out as well. I hope their products are not too expensive. So anyway, together with some friends, I made 2 visits to Shakey's to order the pizzas and I am glad to report that even my meat-eating friends loved them both. These pizzas are priced at Php313 for the regular, 8-inch, thin crust option. You might want to ask for these pizzas as it isn't on their regular menu. It's on a separate sheet that they sometimes don't insert in the menu when they give it to customers. The first time, we ordered the Protein Surprise variant. It also had my favorite ingredients: olives, mushroom and bell peppers and instead of the chicken and pepperoni, Quorn was substituted. I would say the substitution was a success. Of course the pepperoni weren't as thinly-sliced as the original and they were softer in texture, but the flavors in this pizza are what you'd expect and you won't miss the meat at all. 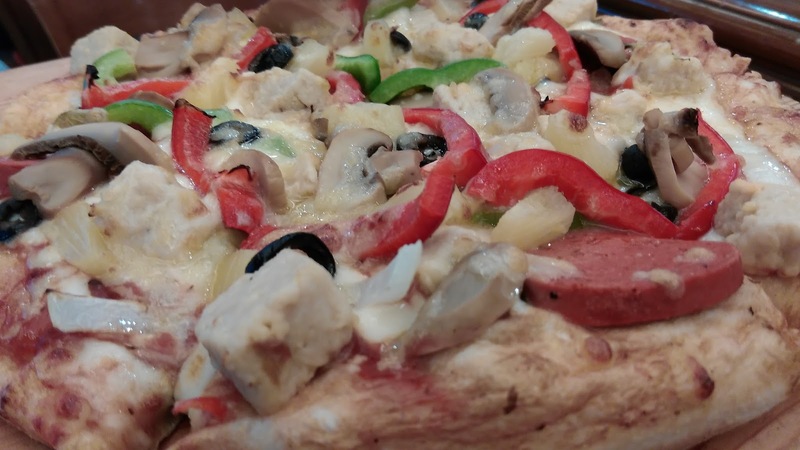 It's still the hearty pizza with tasty toppings that we are familiar with only made healthier. The next time around, we ordered the Cheesy Chick'n pizza. Although this one had less toppings than the first one, to me it was more flavorful because of the cheese. The Quorn was a nice substitution for this one as it had a subtle flavor that emphasized the cheesy flavor. Everything was also cooked just right so that the bell peppers were still crisp and firm to the bite but soft enough to chew. Both pizzas were hearty enough to satisfy a hungry belly. Since these 2 pizza's satisfied my tastebuds' cravings, I decided to look for Quorn when I went grocery shopping. Unfortunately, the only stock they had on hand was the minced variant. I really liked the chunky ones on the pizza so I will check back again another time for that. 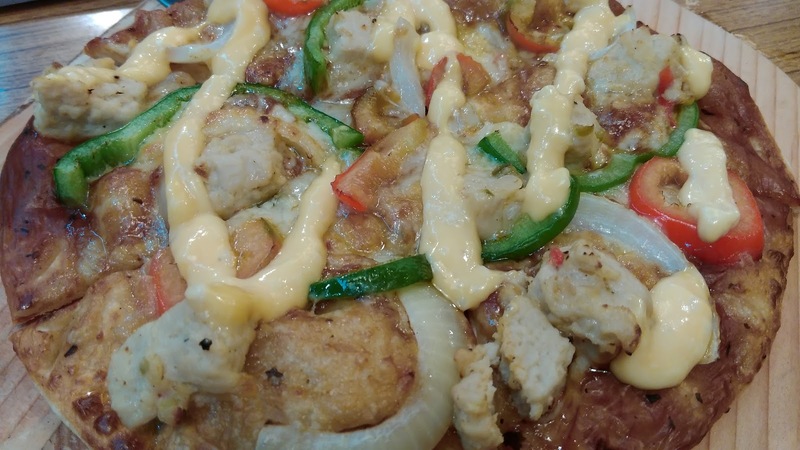 A healthier pizza is a welcome treat for vegetarians and I hope that Shakey's continues to offer these on their menu and offer more of these options in future. Perhaps they can offer the option of using Quorn and other meat substitutes for their regular pizza and pasta offerings. Imported alternatives can be quite expensive but there are actually local businesses who offer different products to substitute for meat from burgers to lechon and even cheeses. These products are sometimes even tastier than the actual items. So since it's the Christmas season, let me make a wish for other restaurants to follow suit and offer healthier options on their menus as well.